We have been one of the largest authorized sellers of Genuine Toyota and Scion parts and accessories for over 30 years. 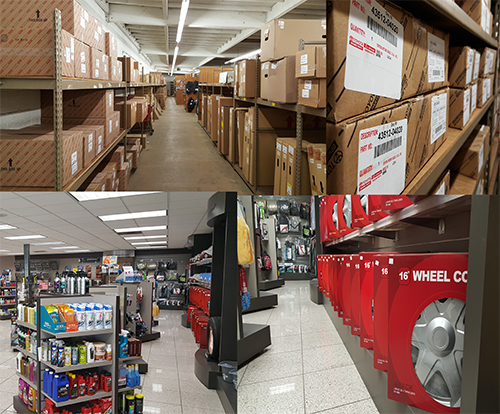 Our large inventory and proximity to Toyota's National Parts Distribution Center allows us to offer quick shipping at reasonable prices. We have been a family owned and operated business for over 50 years and many of our staff has been with us for decades. As a recipient of Toyota's coveted President's Award and Parts Excellence award you can be assured that customer service is our #1 priority. If something is not right. We will make it right.